Once a jail, now a museum. 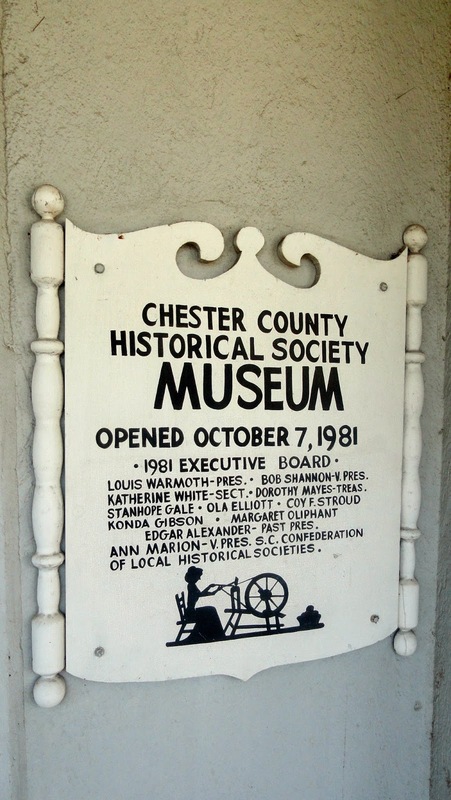 Another literal "throw you under the jail" jail is now the Chester County Historical Society Museum in Chester, SC. Here history goes back far beyond the arrival in 1750 of Scots-Irish settlers from Pennsylvania and Virginia. The Great Warrior Trading Path (aka Catawba Road, Warrior's path) passed over then hill on which Chester was built. The Haigler pot on the left is one of only two known to exist with holes in the handle . 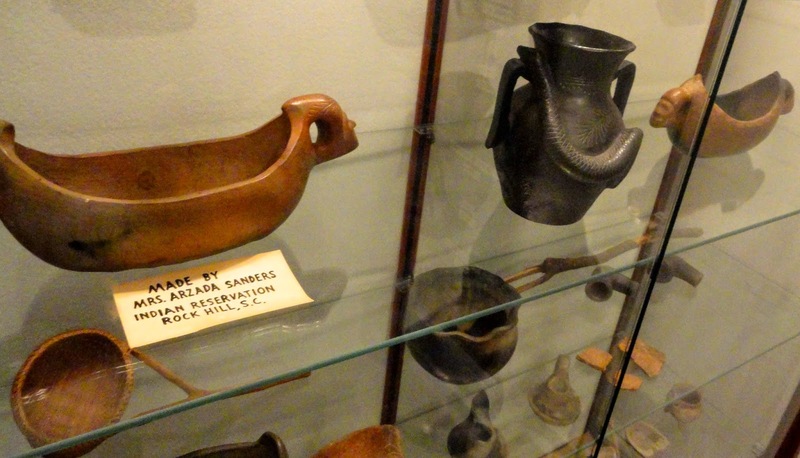 The Society's museum contains one of the finest collections of Native American projectile points, some dating back to 10,000 BCE, and superb pieces of Catawba pottery. According to our guide, Susannah Owl, a Catawba, married a chief of the Cherokee Nation and is credited with teaching them the Catawba method of firing pots. The Revolutionary War battles and skirmished fought here were the first in which the Patriots used the Indian fighting methods and the first that were successful against the British forces. Stars and bars battle flags. • A Confederate battle flag suggested by South Carolinians, the biggest star for South Carolina, of course. the Burr bench doesn't look very comfortable for sleeping. 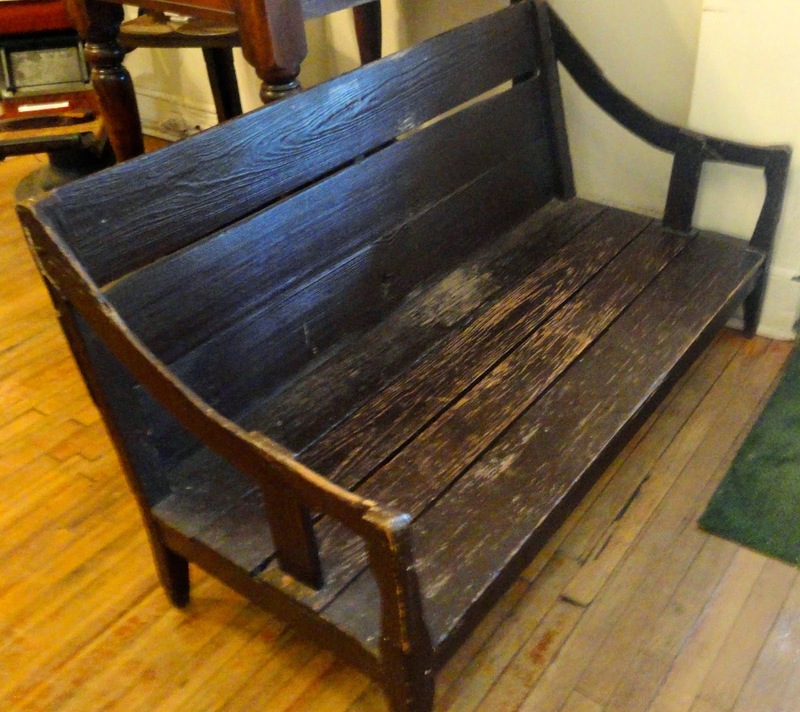 • The Aaron Burr bench, where traitor Burr slept when captured at the Lewis Inn. 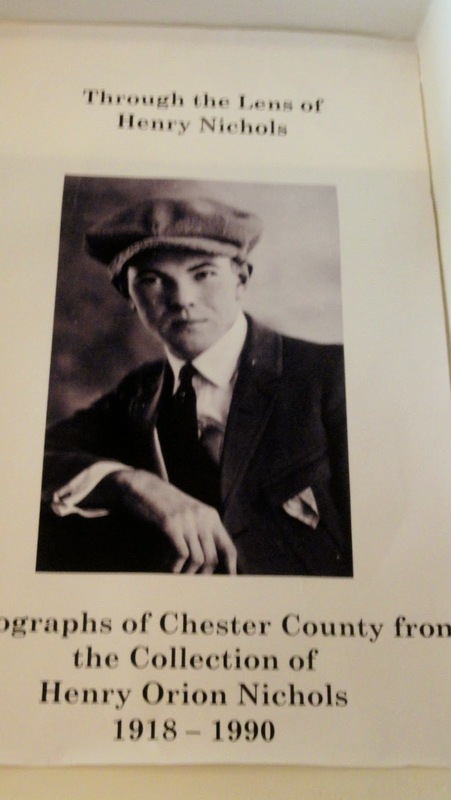 • The enormous (250,000 images) collection of photographs by second generation photographer Henry Nichols who documented everything Chester from 1918 to 1990, including the owner of Springs Cotton Mills who hired famed ecdysiast Gypsy Rose Lee as vice president of unveiling. The building itself is worth a look. Constructed in 1914 of poured concrete a la Frank Lloyd Wright, it was the town's first building with indoor plumbing. The bold might venture down to the basement where prisoners were housed, described as "a veritable hallway of ghost people". Might look around town, too. This is the last place the Confederate treasury's gold was ever seen. Eager driver in search of a fire. The Good Girls took a peek at the Transportation Museum in the old Seaboard Rail Road Depot. A work in progress, it does have the town's first fire engine - with Debi at the wheel during our visit. 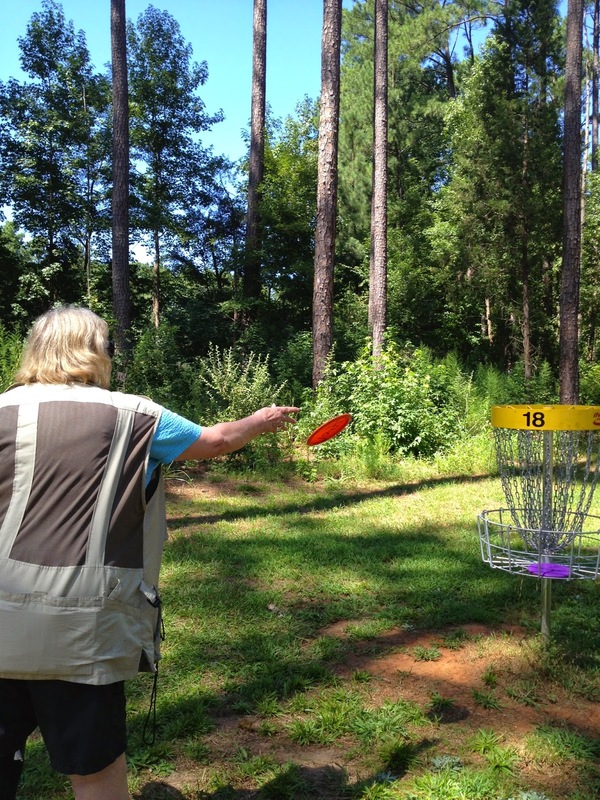 We finished the day with a quick look at Chester State Park which is known for its beautiful lake and its 18-hole and 9-hole tournament grade disc golf courses. 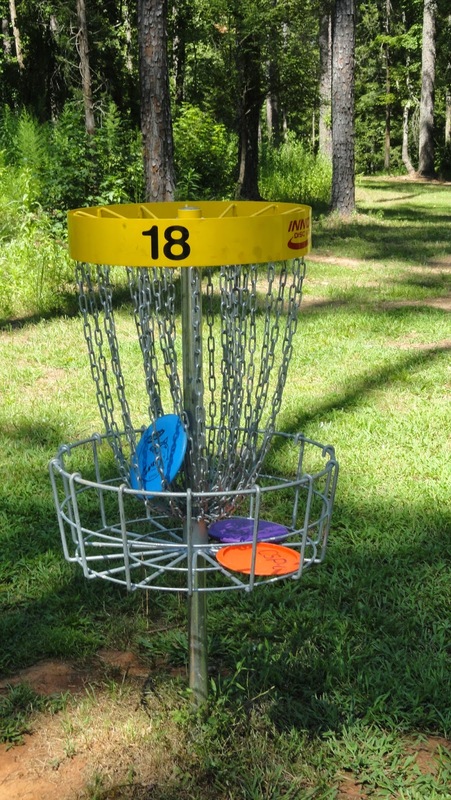 Naturally, we tried our hands at that tournament grade course. No one would call us ready for prime time playing. 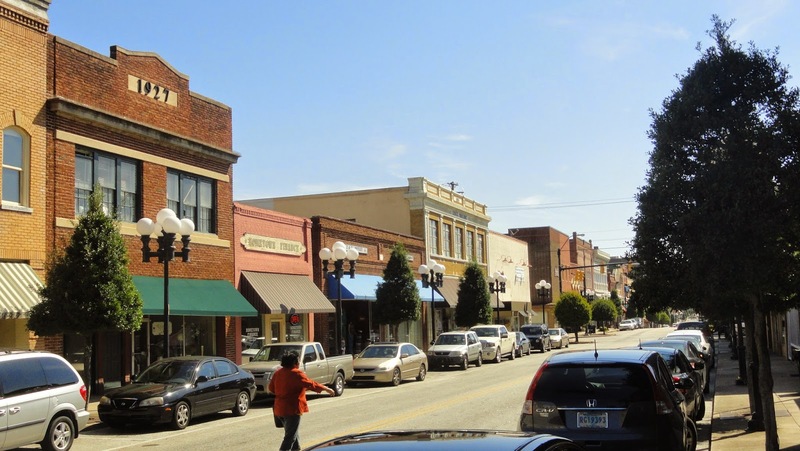 NOTE: This should have appeared after the post on Greenwood, SC, but got "lost". If you had ever ridden along with us you'd know we do that a lot - get lost. As when we are directed to "Turn left at the dollar store at the light" only to discover there is a left turn and a dollar store at every light for the next 25 miles. 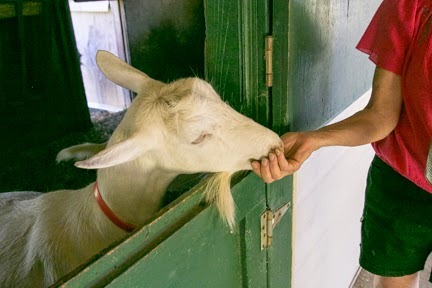 One of the Saanen "girls" at Emerald Farm. Everywhere the Good Girls go we encounter fascinating people and in Greenwood one of them was Kathryn Zhan, owner of Emerald Farm. She's just about an expert on everything. Kathryn raises organic chickens and goats and is a premier breeder of Saanen goats, a Swiss breed. She develops formulas for soaps and lotions, makes them and sells them, too. She uses no chemicals in her line of health and beauty products. 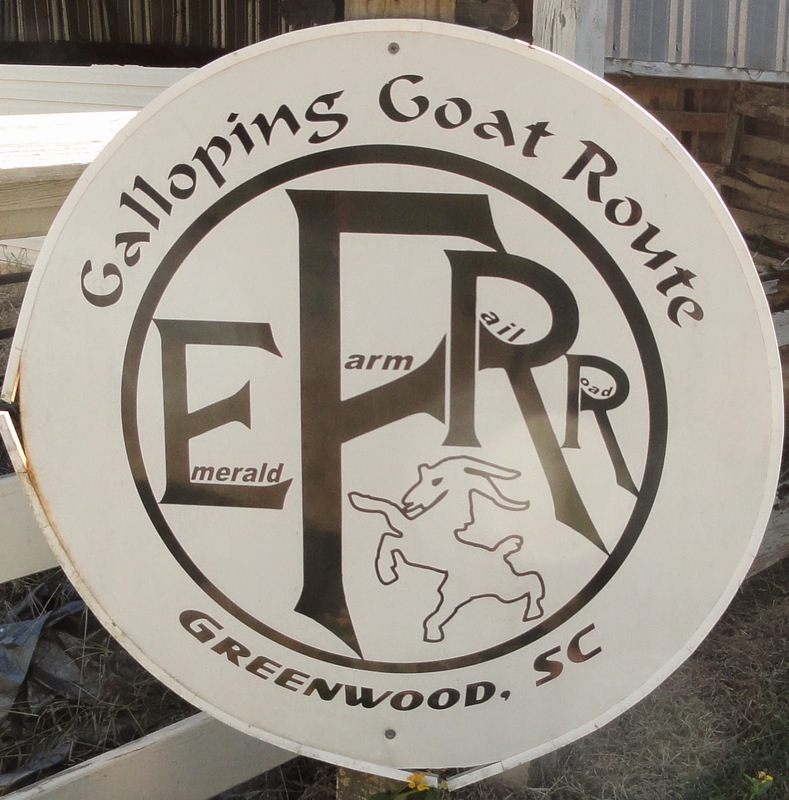 Emerald Farm is located a bit off the beaten path, but once you find it, it offers a full day's worth of activities. 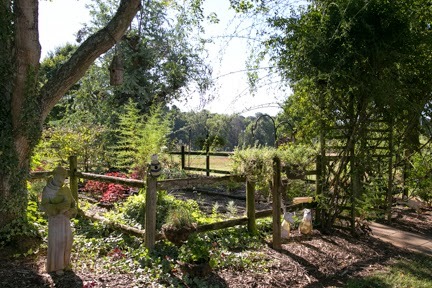 Families and seniors are especially happy with the relaxed pace on the farm. 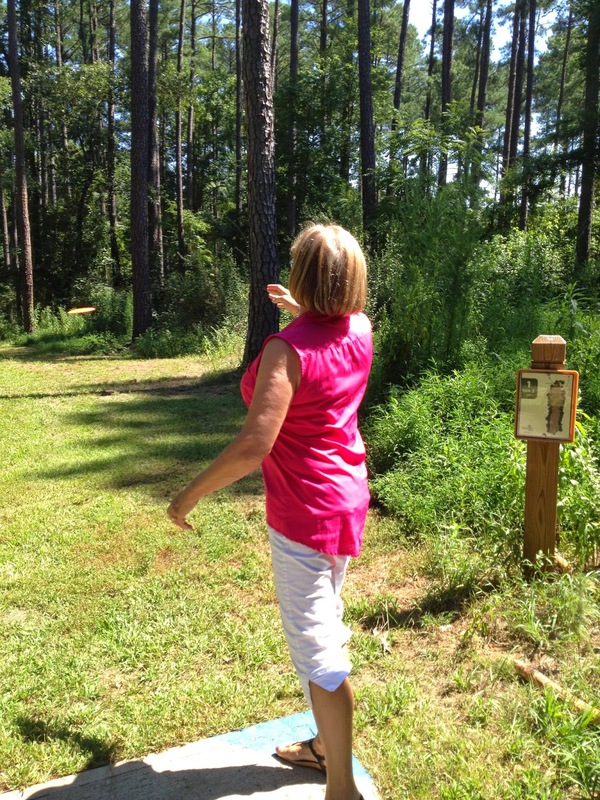 Besides visiting and feeding the farm animals, you could try fishing in the lake, explore the herb garden or shop for a large variety of health foods and hobby items. 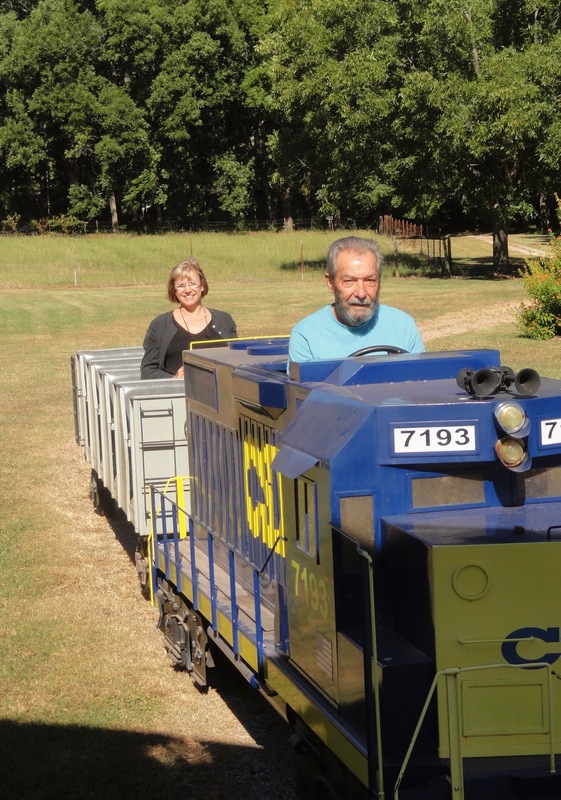 I followed the tracks and took a ride on a miniature railroad constructed by Kathryn's husband. It's really cute. I hopped aboard and rode past ducks on the pond and all around the Emerald Forest. 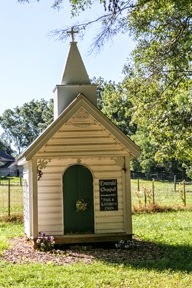 There's a whole village of little structures like a chapel, schoolhouse, general store and more, constructed by members of the family. 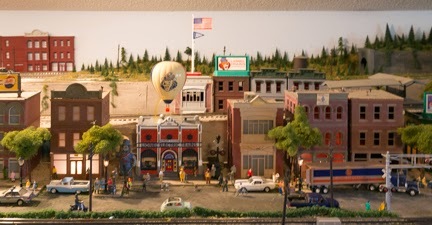 The remarkable model train layout. Finally, I entered the huge Hobby Shop filled with craft items for a variety of enthusiasts: sewing, knitting, model airplanes, miniature car collectors and you name it! Then, I went upstairs and found a model railroad museum. What a surprise; it's an absolute wonder for anyone interested in trains. The museum contains a vast system of tracks with a number of engines pulling cars. One course is standard gauge, the other H.O. 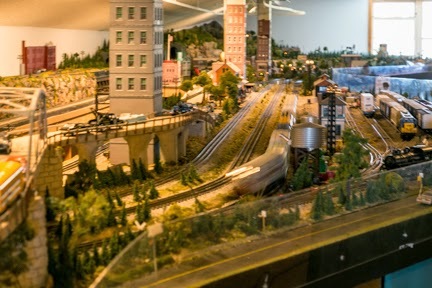 The layout is one of the largest in the southeast and is totally captivating. Members of the Emerald Farm Model Railroad Club may come and run their trains anytime they wish. I didn't see, but Kathryn told me about an air strip for model airplanes and a model remote control car dirt track. She gives tours to hundreds of school children every year. Emerald Farm is a surprising, delightful place and Kathryn Zahn and her family are truly special. Childhood home of Dr. Benjamin Mays. 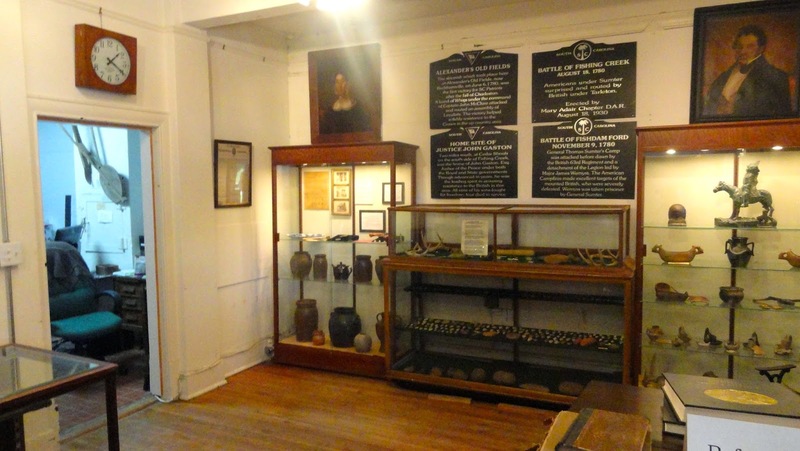 We moved along to another unexpected find; the Dr. Benjamin E. Mays Museum Interpretive Center. 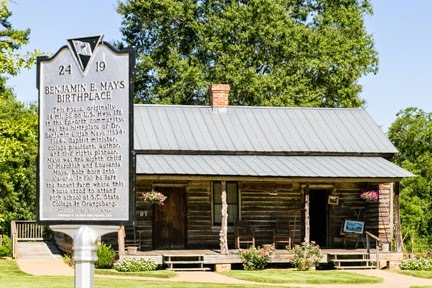 Dr. Mays was born in August, 1894, in a Greenwood farmhouse, later moved to this location. The house contained only two bedrooms for the Mays family of ten. An original outhouse and cedar post clothesline were brought along to add authenticity to the site. 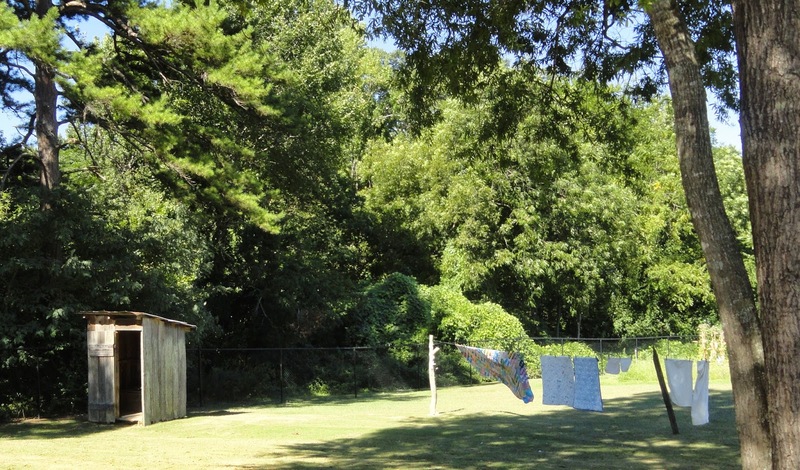 Original outhouse and clothes line. 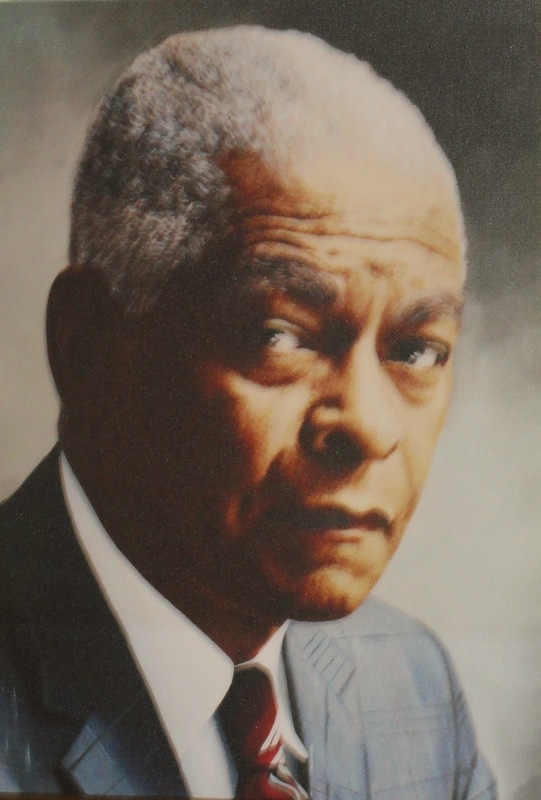 Dr. Mays was an African American minister, educator, sociologist, social activist and the president of Morehouse College in Atlanta, Georgia, from 1940 to 1967. Mays was also a significant mentor to civil rights leader Martin Luther King Jr. and he delivered the eulogy for King. Mays was among the most articulate and outspoken critics of segregation before the rise of the modern civil rights movement in the United States. Open the barn door to a modern museum. 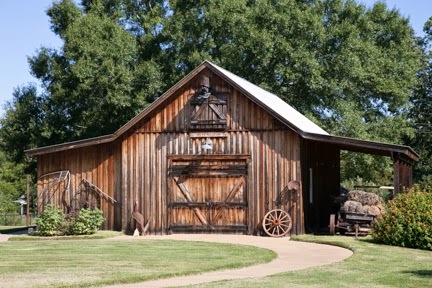 A faux barn is cleverly designed to serve as the Interpretive Center and Museum. It contains photos, books, brochures, speeches, films and personal items belonging to Dr. Mays. Our guide, Loy Sartin, is a passionate expert on Dr. Mays and explained how Dr. Mays became a presidential advisor and man truly ahead of his time. 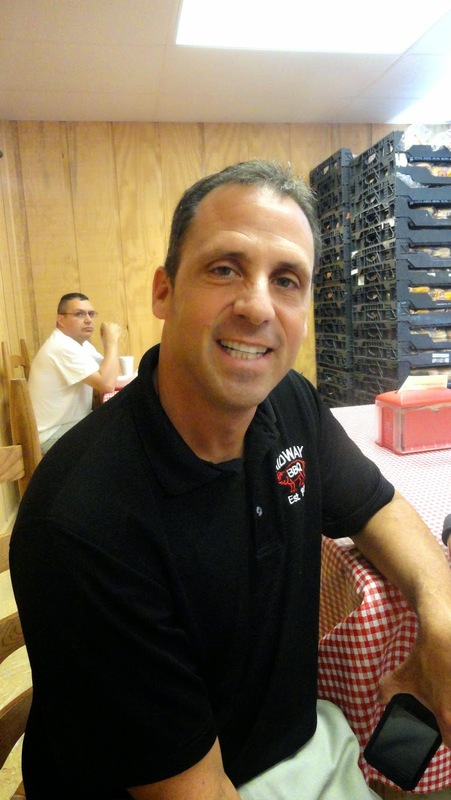 "And to think he came from Greenwood, South Carolina," said Sartin. That's how we found Greenwood, surprisingly interesting. The people who tell you about the history of Union County in South Carolina are probably related to the people who made it. 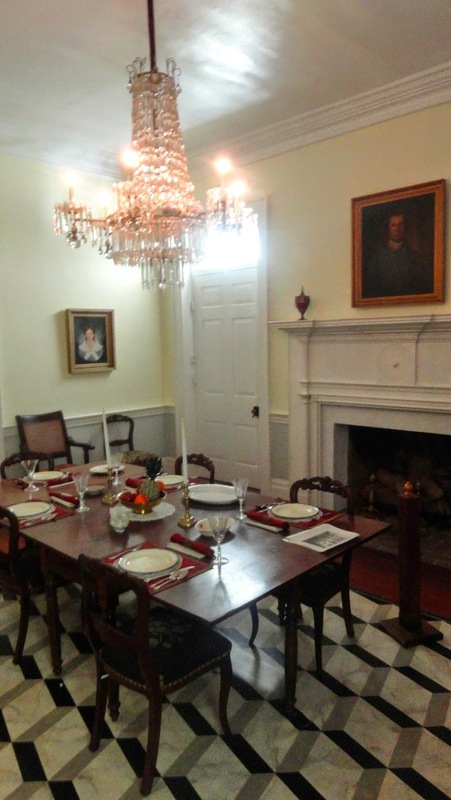 Take Rose Hill Plantation, a State Historic Site 8 miles from the county seat of Union, SC. Begun in 1811 by Francis Fincher Gist, whose family laid out the city of Baltimore, MD, it is best known as the home of his illegitimate son, William Henry Gist. William, a lawyer, state representative and governor, remodeled the house, adding front and back two-story porches and covering its bricks with white-painted stucco. He was an outspoken advocate of slavery, having turned his 5,000 acres into a working plantation with a slave population that grew from 20 in 1818 to 178 in 1860. Secessionist William even fought a duel with his State's Rights nephew. When elected governor, William became known as the "secessionist governor" and from 1858 to 1860 the three-story home served as the Governor's Mansion. David, one of two sons to survive to old age, fathered 25 children; the last granddaughter died a matter of months ago. Need I say there are a lot of Union county residents, black and white, named Gist? 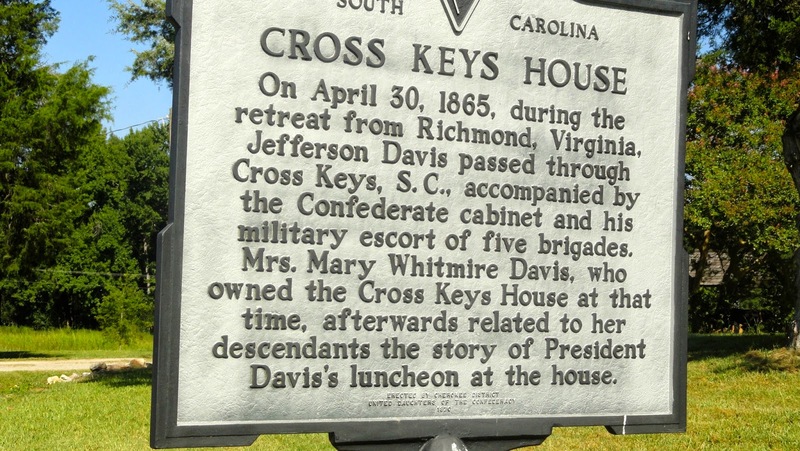 As we headed into Union, we passed the Cross Keys House, site of an old stagecoach stop and circa 1809 post office at the intersection of the Old Ninety-Six (Old Piedmont Stage) and the Old Buncombe (Charleston) Roads. Completed in 1814 by Barrum Bobo (southern for Beaubeau, his family were French Huguenots), a prosperous merchant, it is an excellent example of Georgian Colonial style. Jefferson Davis stopped here April 30 for lunch during his flight from Richmond and every April some 1,400 re-enacters recreate the event and its times. 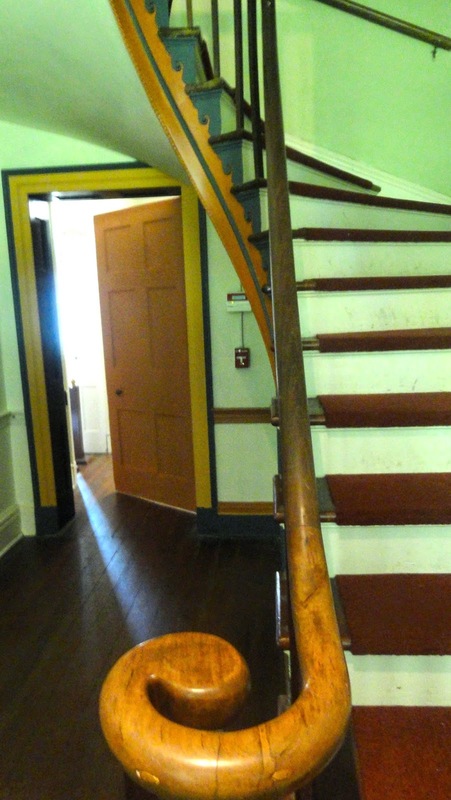 Held in the Bobo family until 2006, it is now owned by the Union County Historical Society and is open for tours on Saturdays. It wasn't Saturday so we paused instead of toured, but the house has survived four earthquakes so that, too, can wait for a later date. Union's Main Street where you'll find its museum. 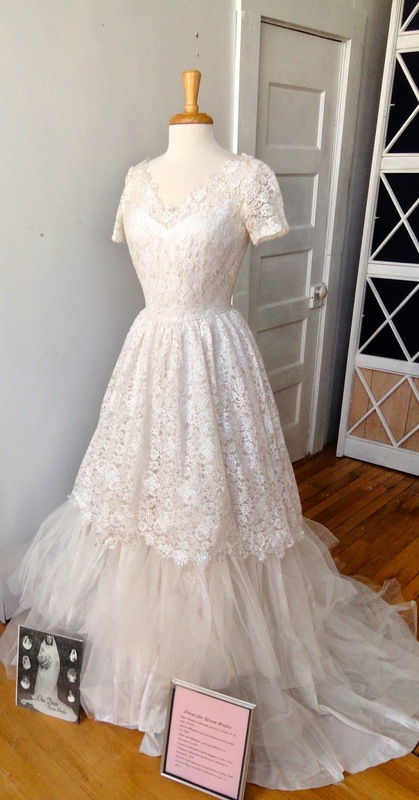 This dress brought seven brides good luck. • Display of wedding gowns from 1825, including one worn over the years by seven brides. 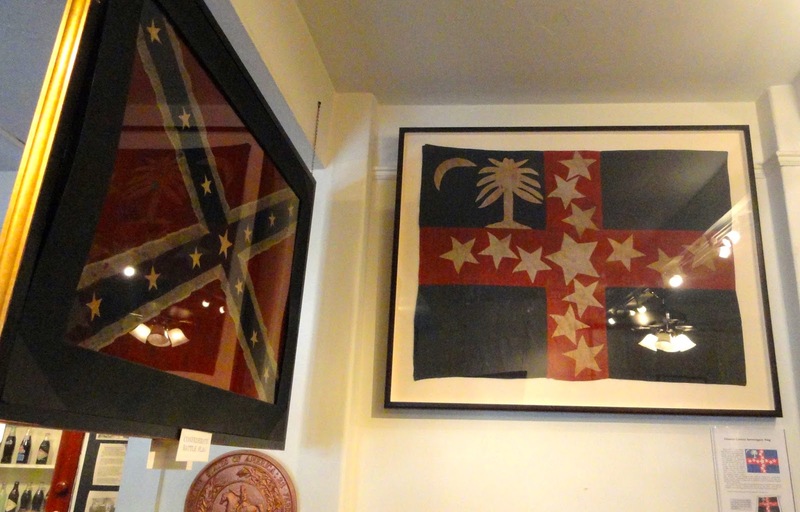 • Two of the three South Carolina flags remaining from the Revolutionary War. • The table of secession upon which Benjamin F. Arthur of Union County drafted the Ordinance of Secession in Charleston, Dec. 20, 1860. We were tickled to find out where the expression, "We'll thrown you under the jail" may have originated. No prisoners ever escaped from Union County's jail because they were housed underneath it, literally. So were those in Chester County but that's a story for the next post. 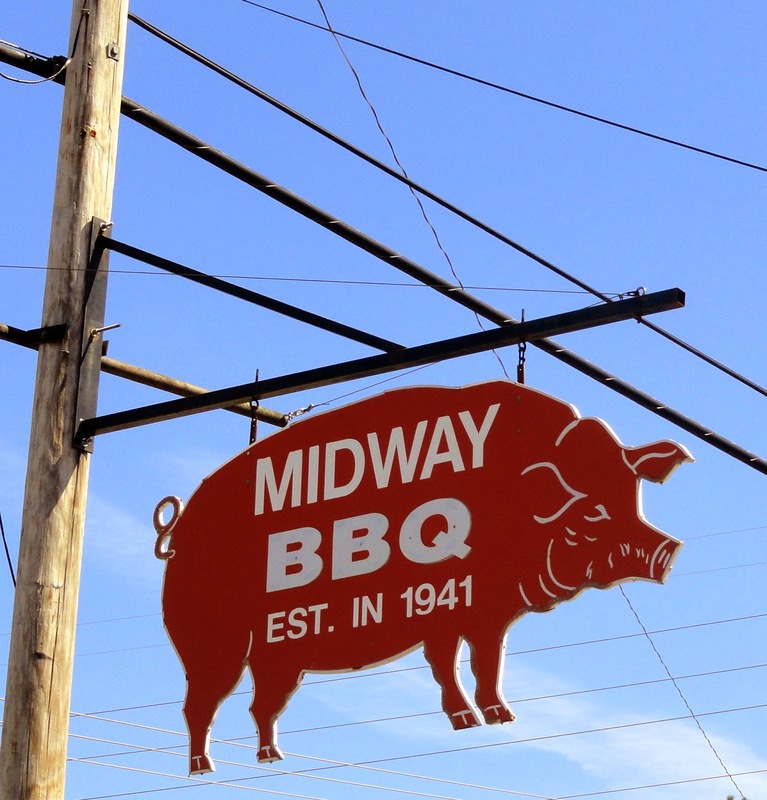 We ended our brief visit to Union County with a truly memorable meal at Midway BBQ in nearby Bufffalo, SC. The venerable establishment is now run by Jay Allen and owned by his wife, Amy, whose father was founder Jack O'Dell. Jay Allen keeps the hash pots simmering. Both Southern Living and Garden and Gun have sung its praises and it doesn't take long to see why when you enter this combination butcher shop, restaurant and community gathering place. Everything edible here is good. 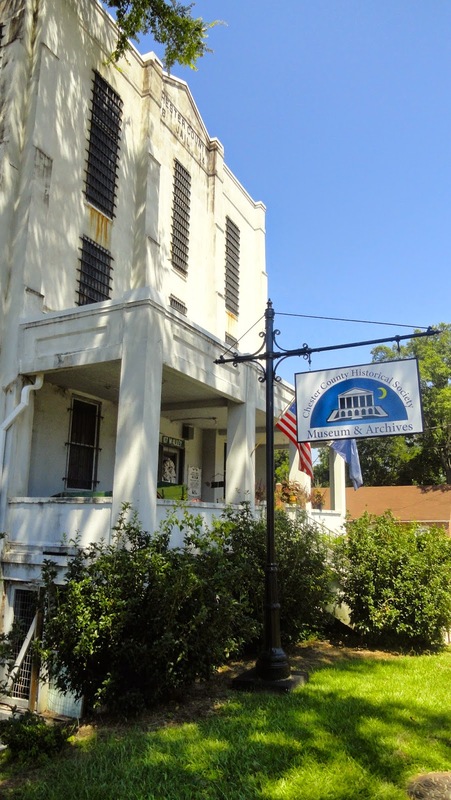 It is justly famous for its Carolina hash, a state specialty. Not pretty to look at but delicious to taste is this melange of beef (occasionally up to 5 percent pork), onions and butter assembled and cooked over a 24-hour period. It is what many diners drive 100 or more miles to eat. Equally famous should be the chicken stew, a rich bisque that soothes the soul with heartiness but would be right at home in a bone china bowl at a gourmet gathering. We tried to sample it all. Good Girls never quit so soon, though, and we tasted our way through the excellent pork barbecue, the sublime squash casserole, tangy turnip greens and a sweet potato souffle more satisfying to the sweet tooth than most desserts. The things we do for our followers, burp. The Good Girls couldn't leave the Old 69 District of South Carolina without a word about peaches. From beginnings near the city of Xian, China, where peaches were cultivated at least 3,000 years ago, the luscious fruit was spread o Russia and Persia. Alexander the Great and his armies bartered for them and spread the peach to Greece and from there to Europe. The Spanish brought peaches to the New World and today they are grown in 64 countries. Especially the Old 69 District of South Carolina. 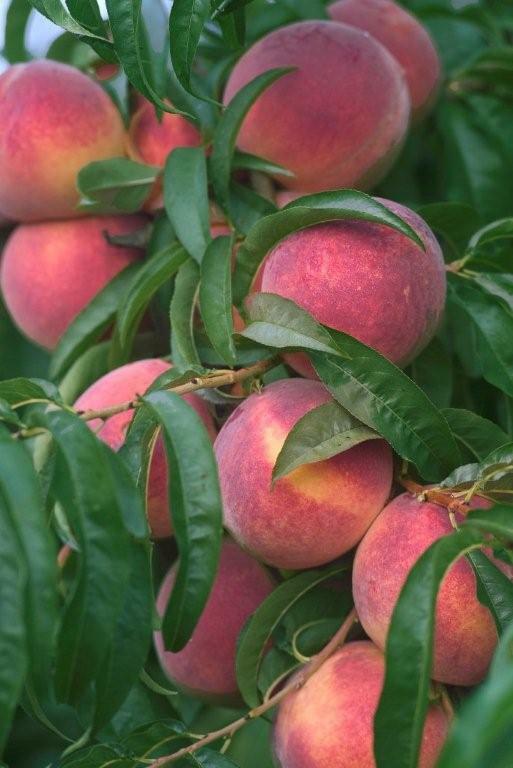 Discovered there in the late 1600s, peaches became a major crop in the 1900s. During the mid-May to Labor Day season, weather permitting, 200-plus million pounds are harvested, more than in any other state except California. Yes, even more than in the "peach state" of Georgia. 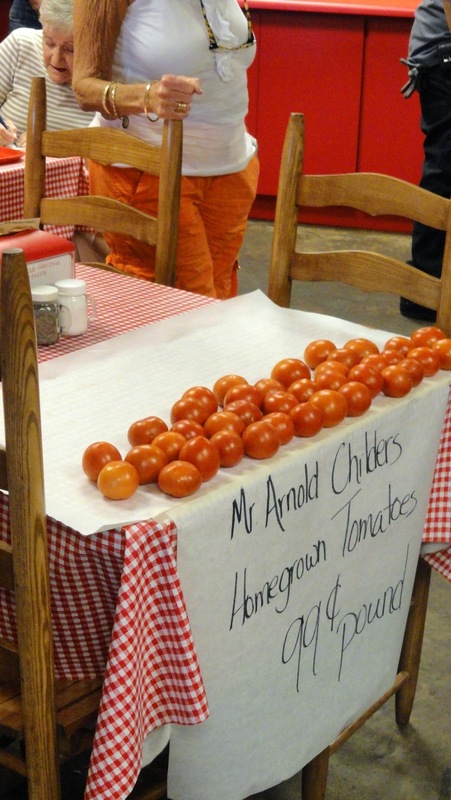 On the 5,100 acres of Titan Farms, the area's largest grower, more than 56 varieties are grown. 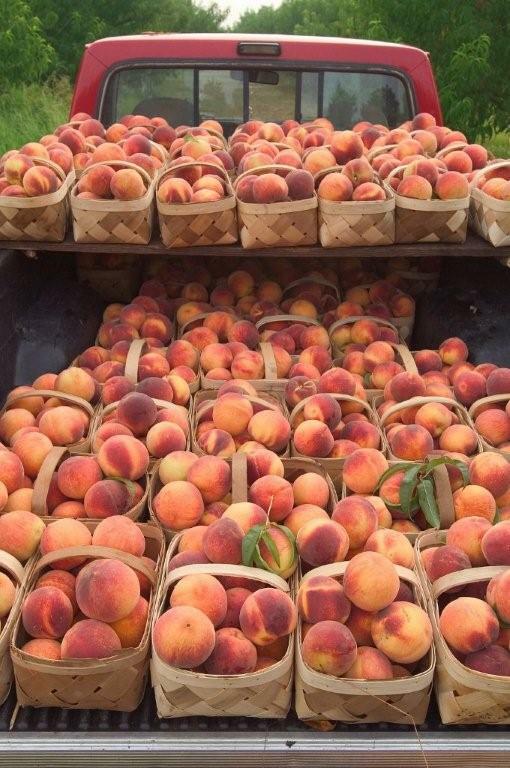 Carolina peaches ready for market. We could not have been more delighted when honorary Good Girl Vicki Loughner brought us each a basket of Big Reds, one of the 70 different varieties grown here. Timing wasn't good for what is considered a very perishable fruit; we had two more nights in the area plus another three in the Olde English district and a day's drive home. We needn't have worried. Treated right, truly fresh peaches are pretty hardy. Upon checking out of the Greenwood Fairfield Inn & Suites, we carefully placed our baskets in the car's back seat and floorboard, covering them with a windshield sun deflector. After checking into the Rock Hill Marriott Courtyard, we transferred them to a spot closest to the air conditioner in our rooms, repeating the process when we checked out and headed for home. It worked. All peaches arrived deliciously edible. I managed to make a cobbler, a pie, have peaches on cereal every morning and put up fthree pint bags of perfect peaches just before going out of town nine days later. Debi's experience was similar. Peaches on the tree in South Carolina. 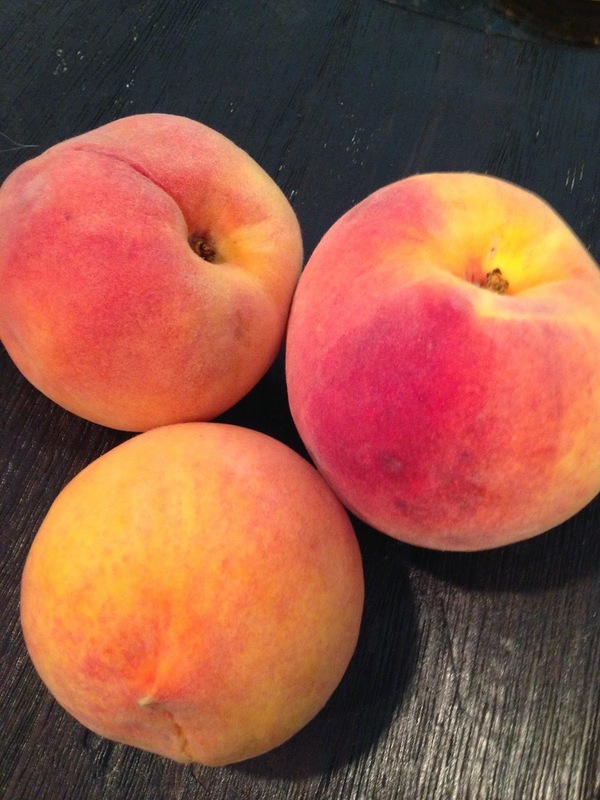 Our advice, buy peaches from 300 miles away instead of 2,000 (South Carolina peaches can be bought on line). Keep them cool then allow to return to room temperature the night before you plan to use them. 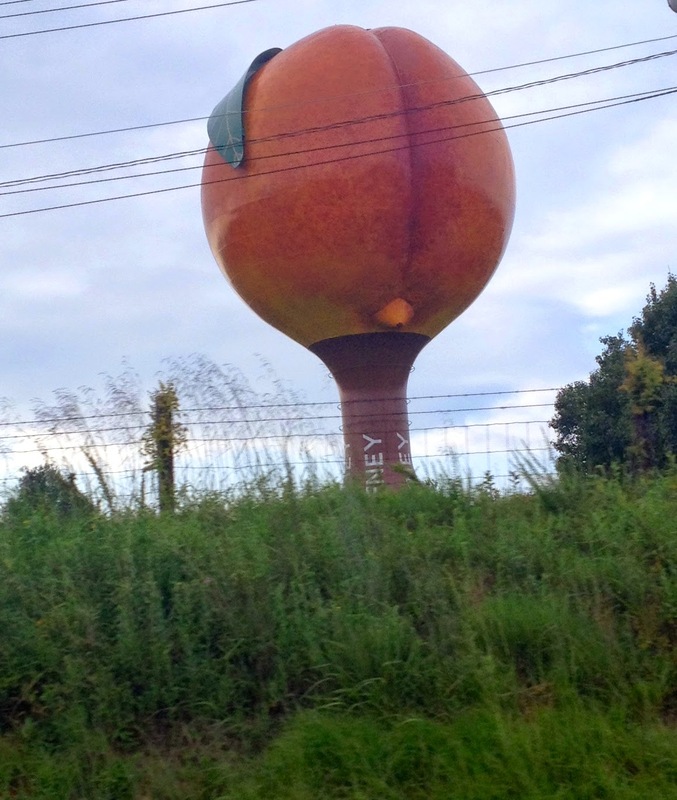 The big peach we passed on the road.